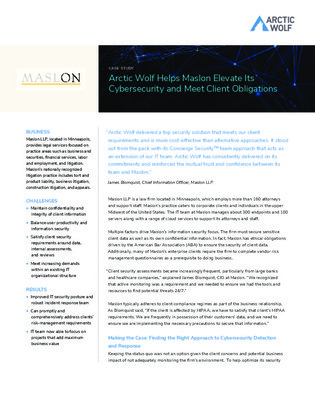 Maslon LLP, a Minneapolis law firm, needed 24/7 active monitoring on their hundreds of endpoints and servers to detect potential incoming threats. They decided Managed Detection and Response (MDR) would be the optimal approach to fit their requirements. Read on to find out how Maslon was able to improve their security across all networks, while still satisfying client requirements.